When André Mehmari performs “Here Comes the Sun” by The Beatles, it will sound a little different than you’d expect. The Brazilian musician/composer (who, yes, released an album of reworked Beatles tunes) is known for taking any song and making it his own through improvisation. 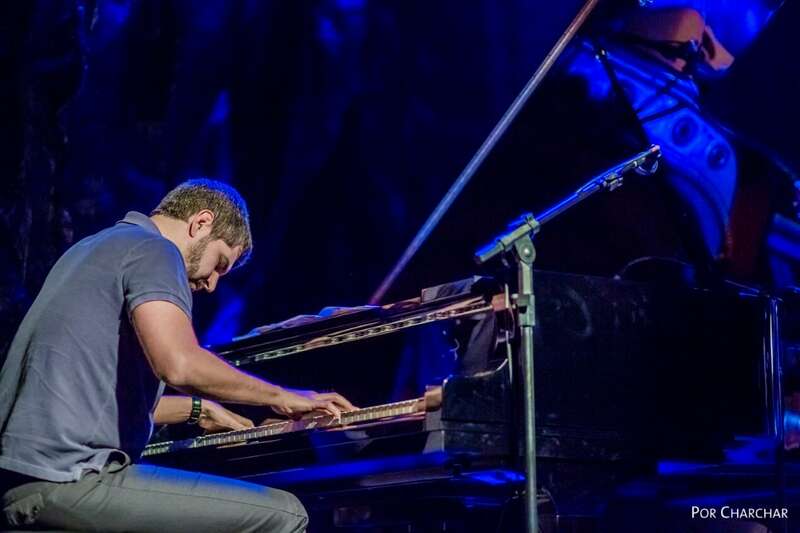 He has a way of layering notes on the piano as inspiration moves him through a song, and half the fun of his live performances is never knowing exactly where he’ll take you. His incredible technical skill will be on full display at two shows at the Library District this April. André is one of the most celebrated musicians in his native Brazil. In 1998, while in his early twenties, he won the first national VISA MPB competition, the most important award for popular music in Brazil. It’s no surprise that he saw success at such a young age as he began studying music at age five. By 10, he taught himself improvisational jazz, and had completed his first composition. As a young man, he was invited to teach music at some of Brazil’s most prestigious music schools and festivals. Throughout adulthood, he has been in-demand on the concert circuit, and we are lucky to have him joining us on his 2019 tour. His talent has brought him to Europe, Japan, and the United States, including a recent show at the esteemed Kennedy Center in Washington, D.C.
“I see improvisation as the door of entrance for the composing process,” he told NPR’s “All Things Considered” during his stop at the nation’s capital. During his NPR broadcast, he did a 10-minute extemporaneous performance inspired by the radio show’s theme — check it out on YouTube. André is known to glean motivation from almost anything, and presents his audience with something surprising and new. When you find yourself on the other side of his piano, he might even ask you for a few ideas, and create a new song right then and there! Sunday, April 7 | 2 p.m.